Today was a tough one for Ramadan crafts and our family, I must admit. We went to back to back events that had us out of the house from 8am to 9pm. 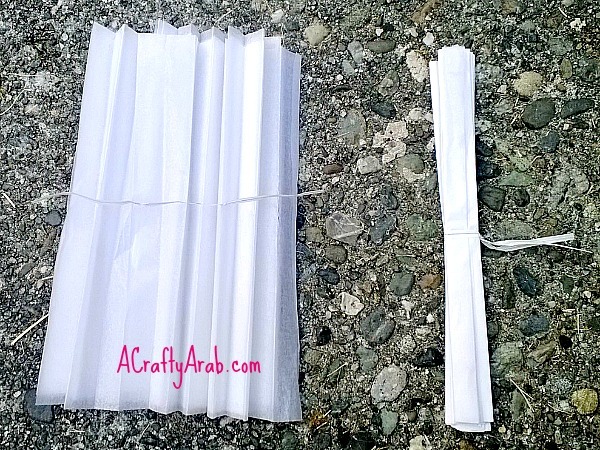 Long days on the go during Ramadan means that our crafting comes along too. While I was at the first event, I cut and folded the tissues. 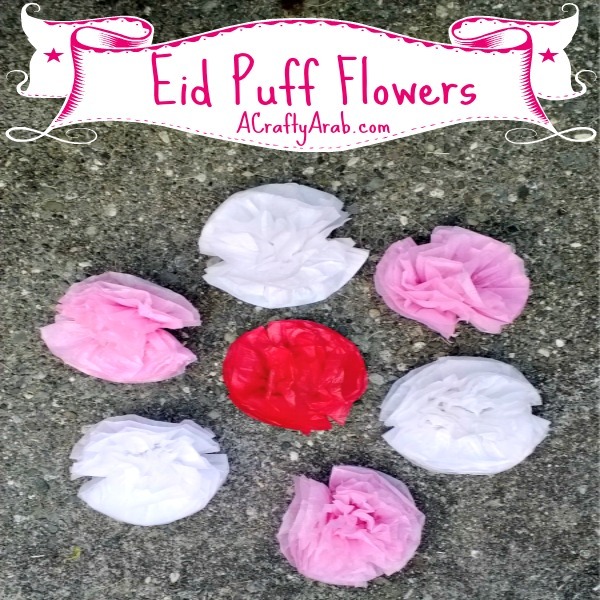 During the second event of our day, the girls spent their time pulling apart the tissues to make our final product – Eid puff flowers. We’ll be putting them up for our annual Eid party coming up. Sorry for the rough photos, I took them in the parking lot! Accordion fold your tissue paper and put the tie in the middle. I made our tissue piles the same, but feel free to experiment with patterns or colors. 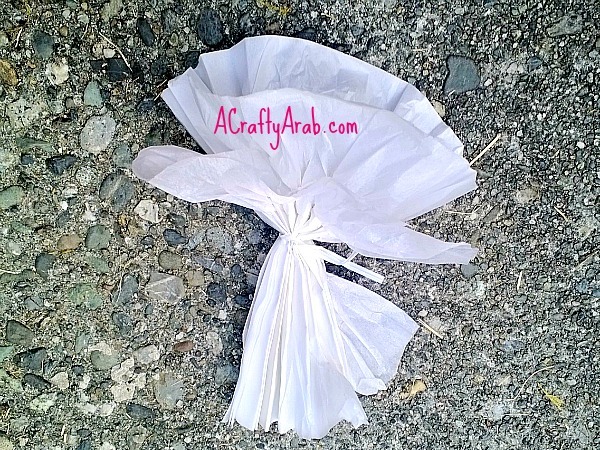 Put the twist tie end away from you and start pulling out the last piece of tissue paper, fluffing it out from one end of your bundled papers. Go to the next paper and keep going until you reach the middle. Go to the other side the folds and do the same thing. Keep going until you have all the tissue papers pulled away from each other. 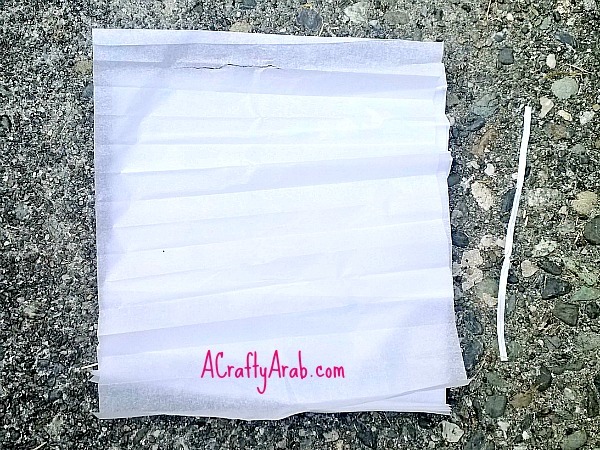 Use the twist tie hang it from a tack on your wall, tape it to your ceiling fan, or drap it off your sister’s ear as you wait for her swim meet to end. 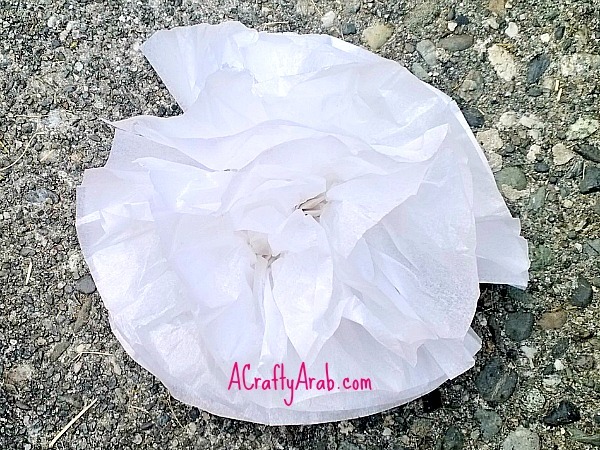 Please stop by A Crafty Arab on Pinterest to see more tutorials.